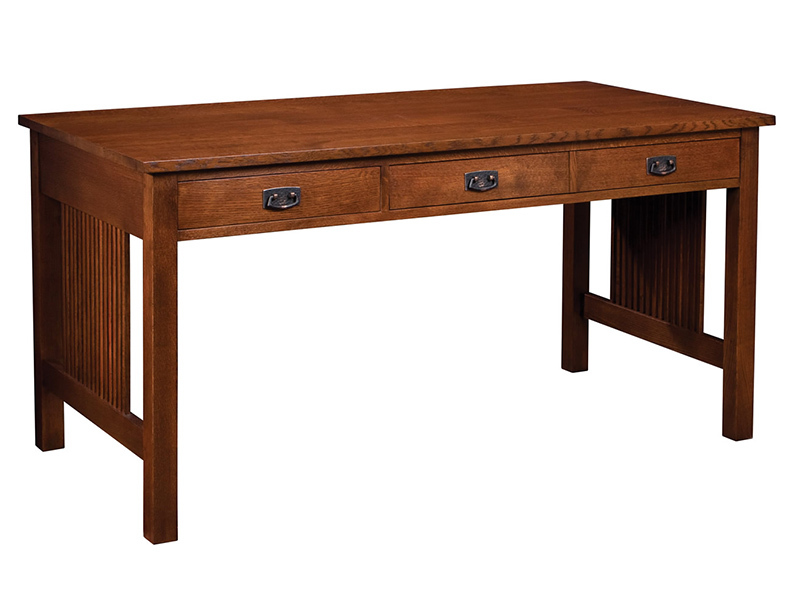 Computer work table with two drawers, although it has the appearance of three. Keyboard access in right drawer, and storage in left drawer. Wire access on each end and Accuride® drawer glides. Available in solid oak or cherry.